Kathryn Ford Richter, BSN, RN is a self care and mindset coach. She helps overwhelmed entrepreneurs, healthcare workers and professionals explore their fears, increase confidence by taking action and incorporate daily self care into their lives to become happier, healthier and ultimately more successful. 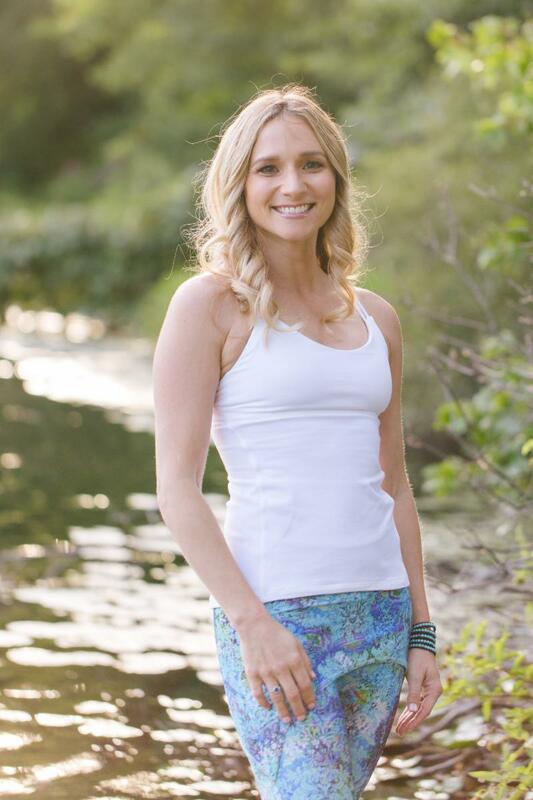 Her background as a nurse, yoga instructor and essential oils educator reflect in her work with clients and she loves how her skills complement one another. Kathryn works with clients one on one, as well as offers educational classes to businesses and individuals on how to incorporate essential oils into their lives to improve sleep, decrease stress and improve overall health and wellness. It is her mission to coach as many people as possible so they can feel balanced and have more energy to share their light with the world. I was born a caregiver. I loved helping people and animals in need, and it just came so naturally to me. Growing up, I admired my aunts. They are both nurses and I wanted to be just like them. I valued their passion and dedication to helping others and knew that’s what I wanted for my life. As time went on and I entered high school, I began to doubt my abilities…science did not come naturally to me. I told myself I wasn’t smart enough to become a nurse, so I put it out of my mind. I went on to get a bachelor’s degree in Sociology instead, and became a yoga instructor and reiki practitioner. Years later as my confidence grew, I decided to get a second bachelor’s degree and become a nurse. Getting the degree wasn’t easy, but it was definitely worth it. I went on to work on a high risk labor and delivery unit. It was such an honor to be there for patients at some of the happiest, and also saddest times in their lives. I felt truly blessed and loved my patients, however I realized early on that I wasn’t making time for myself and my physical and emotional health began to suffer as a result. I looked around and saw many nurses continually giving to patients, but noticed they were completely ignoring their own needs and not taking care of themselves. It was in that moment that I knew it was my calling to help people be happier and healthier so they could continue to give to others in a more sustainable way, and reduce the risk of burn out. In 2015, I discovered nurse coaching…click here to continue reading. This entry was posted in Display Home Page View All, Grads in Action, Uncategorized and tagged Coach, coach training, Coaching, featured graduate, holistic, Kathryn Ford Richter, life change, success, wisdom of the whole. Bookmark the permalink.